FANTASTIC NEWLY RENOVATED FAMILY HOUSE IN THE DESIRABLE BENOORDENHOUT NEIGHBOURHOOD. This delightful family home is just steps from Arendsdorp Park and within easy reach of local amenities including the chic shops and charming cafes in the van Hoytemastraat, sports facilities, Shell headquarters, and the ICC. International schools, public transport, and motorways are all conveniently close by. This spacious semi-furnished (fixtures and fittings) home features a great fully-equipped kitchen, 4 good-sized and 1 smaller bedrooms, 2 bathrooms, a sunny southwest-facing garden and a cellar. 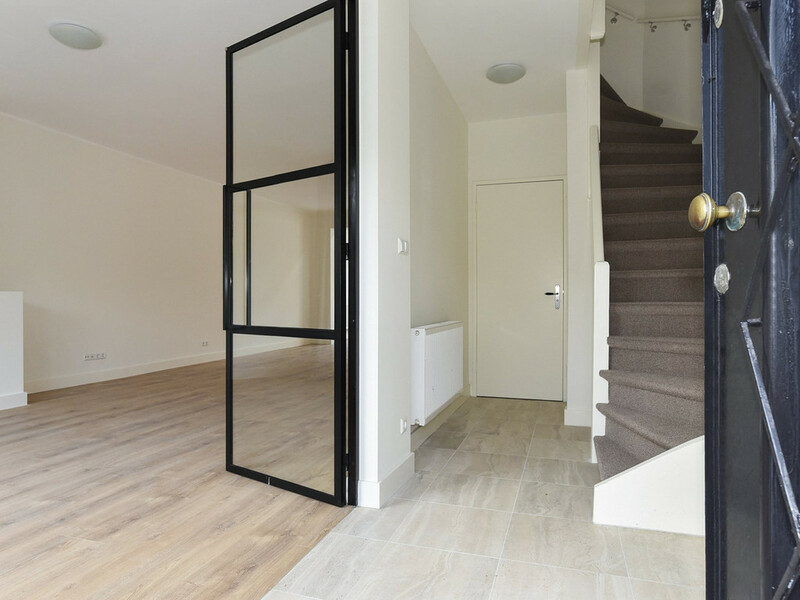 Ground floor: Entry; vestibule; cellar; guest lavatory with washbasin; steel and glass doors from the hallway (4.97x1.95) opening to a large living/dining room (12.72x4.08) with fireplace and French doors to the sunny, maintenance-friendly back garden; NEW fully-equipped open kitchen (6.24x2.03). Landing, 2 ample bedrooms (3.75x2.34 and 4.09x3.75); 2nd bathroom with shower, washbasin, washing machine and dryer and toilet.